Did you know that stress is the main cause of over 70% of accidents at work? Stress is becoming more of an issue every day for most Americans and it's taking it's toll on productivity in jobs of all kinds. 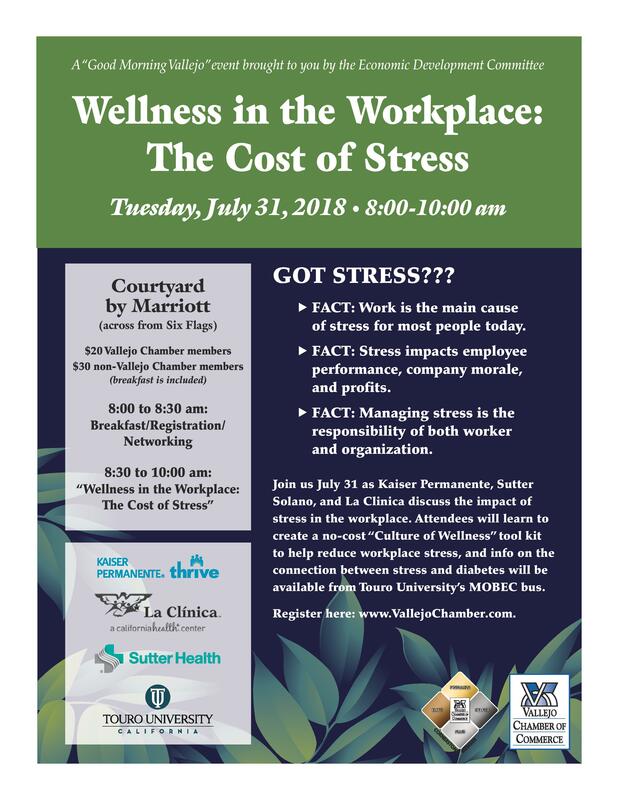 Join us July 31 as Kaiser Permanente, Sutter Solano, and La Clinica discuss the impact of stress in the workplace. Attendees will learn to create a no-cost “Culture of Wellness” tool kit to help reduce workplace stress, and info on the connection between stress and diabetes will be available from Touro University’s MOBEC bus.